Liverpool and Manchester City take top billing on Sunday when they meet at Wembley to compete for the first peice of silverware of the English season. The Capital One Cup may not have the glamour of the FA Cup, but it still represents a route into Europe, and for both clubs a chance to add another cup to the trophy room. Outgoing Man City boss Manuel Pellegrini made no bones about his decision to field a weakened team in the FA Cup last week at Chelsea, and his second-string was shown no remorse by the Blues who recorded an emphatic 5-1 win. That caused plenty controversy but Pellegrini stuck by his decision and suggested it had been vindicated by the vastly improved performance in Wednesday night’s 3-1 win at Dynamo Kiev in the Champions League. Liverpool are in the process of rebuilding under Jurgen Klopp who has had less than half a season in charge, but a trophy is high on the agenda at Anfield after three barren years under Brendan Rodgers and victory here would be the perfect start to the German’s career on Merseyside. It would almost certainly buy him a bit more time and patience from the board and the fans if, as seems likely, Liverpool fail to make the Champions League this season. It all adds up to a highly competitive match at Wembley, and one which is eagerly anticipated in these parts. It’s also a game that the bookmakers are having trouble pricing up, with Man City installed as slight favourites, but both sides available at odds-against to win in 90 minutes. Starting with Manchester City, on paper it looks like they’ve had a far from serene route to the final, but they’ve made fairly short work of it. They’ve been drawn against three Premier League sides along the way, but have beaten each one. Sunderland went down 4-1 at the Stadium of Light when City first entered the competition, and the Citizens went on to beat Crystal Palace 5-1 at home in the next round. Another home draw followed against Championship side Hull, with City running out 4-1 winners thanks in part to a brace from Kevin de Bruyne. The two-legged semi final against Everton was full of controversy, as City lost 2-1 in the away leg only to win 3-1 back at home. The ‘equalizing’ goal in that second leg was scored by de Bruyne again, but the ball looked to have left the field of play before Sterling pulled it back to his strike partner, and although City eventually went on to win through Aguero’s goal, Everton were rightly incensed by the decision. Liverpool had a much more difficult time in the early rounds, only coming through their first tie with Carlisle by virtue of penalties. They went on to record a tight 1-0 win over Bournemouth at Anfield, before their best result of the competition in the next round, winning 6-1 away at Southampton on a night where everything fell into place and Daniel Sturridge made one of his rare appearances after injury. The semi final against Stoke was equally as tight as City’s with Everton. Liverpool grabbed a 1-0 away leg advantage but lost the second leg at Anfield by the same score with the game going to extra-time and penalties. The Reds eventually won their second shoot out of the competition to take their place in Sunday’s final. Recent matches between these two sides may have helped to skew the odds somewhat, with Liverpool enjoying some good success against City. The Reds have actually won the last two encounters, both in the Premier League, and that will give them plenty of confidence going into Sunday’s game. They were 2-1 winners at Anfield last March, courtesy of goals from Henderson and Coutinho, and even more impressively they were 4-1 winners at the Etihad in November. 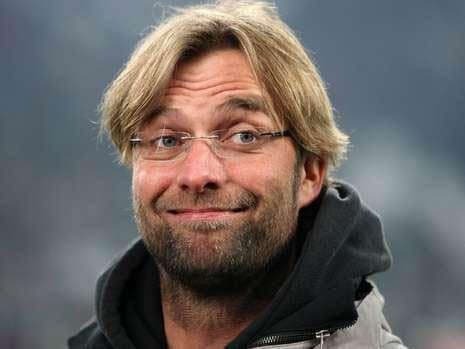 Man City couldn’t cope with Klopp’s early high intensity and Liverpool were 3-0 up in the space of 32 minutes, effectively ending the contest. City’s last victory over Liverpool was in August 2014 when they were 3-1 winners at home with a double from Aguero. Liverpool may use the same high press tactics that are a feature of Jurgen Klopp sides, as they try to gain the upper hand early, but expect City to be much more prepared for it this time, and the presence of Vincent Kompany in the back line to make a huge difference. Manchester City are worth backing at 29/20 2.45 +145 1.45 1.45 -0.69 with William Hill which seems a generous price considering the relative abilities of the two squads. Injuries were the motivating factor behind Pellegrini’s decision to play a weakened side at Chelsea in the FA Cup, but with the big guns back they took the initiative in their Champions League tie, and will look to make the strategy pay again with a win at Wembley. With Silva, Toure, Aguero and Kompany back in the team, City are a different proposition and man-for-man the first eleven and the full squad is better than Liverpool’s. It was a long trip to Kiev to play on Wednesday evening, but Liverpool also played midweek against Augsburg in the Europa League on Thursday night. Recent form doesn’t inspire for either side with City losing two Premier League games on the bounce (Leicester and Spurs) before the humiliation at Chelsea, although the midweek win should have given them a confidence boost. Liverpool are largely considered to be on an upward curve, but close inspection reveals that they actually only have one win to their name in the last seven games, and that was the 6-0 rout of relegation-bound Aston Villa. With Kompany back in the team and Silva pulling the strings for Aguero again, Man City are a different team to the one which has looked so vulnerable for most of the season, and if they play to the level they rediscovered in Kiev, they should be too strong for a Liverpool side still in something of a transition.